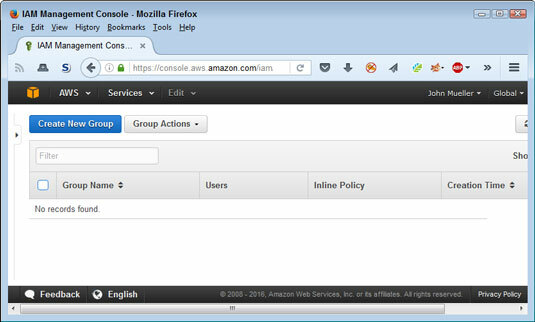 Click Groups on the left side (Navigation pane) of the IAM Console page. You see the Groups page, shown. The page currently lacks any groups because you haven’t created any. As you create new groups, the page shows each of them, along with a list of users, the policy associated with the group, and when you created the group. You see the Set Group Name page shown. You type the name of the group you want to create in the Group Name field. The group name field can support names up to 128 characters long, but you normally don’t make them that long. Choose something simple, like Administrators, to describe your group. Type Administrators (or the name of the group you want to create) and click Next Step. You see the Attach Policy page. Each group can have one or more policies attached to it. 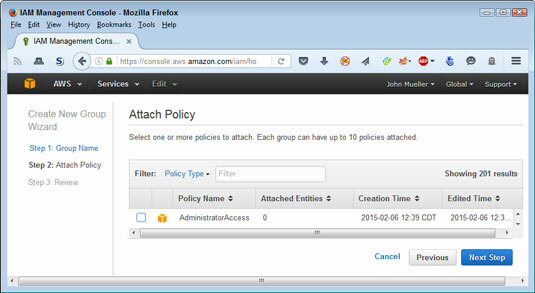 In this case, the IAM Console automatically shows the only existing policy, which is AdministratorAccess. Check AdministratorAccess and click Next Step. You see the Review page. This page tells you the group name and shows the policies that are attached to it. If you find that the group name is wrong, click Edit Group Name. Likewise, if the policy is incorrect, click Edit Policies. 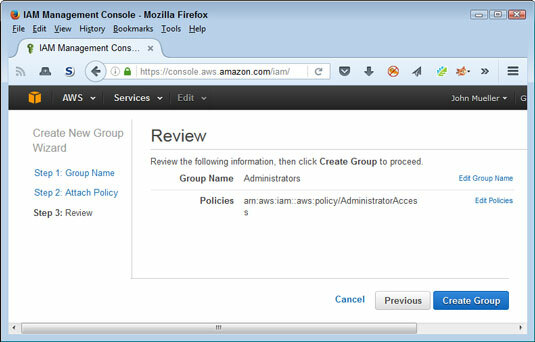 The IAM Console helps you make required changes to the name or policy. 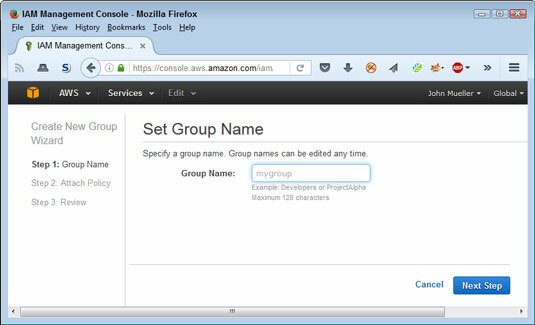 Verify the group information and click Create Group. You see the group added to the Group page.